Excuse the bad joke, I couldn’t help myself. 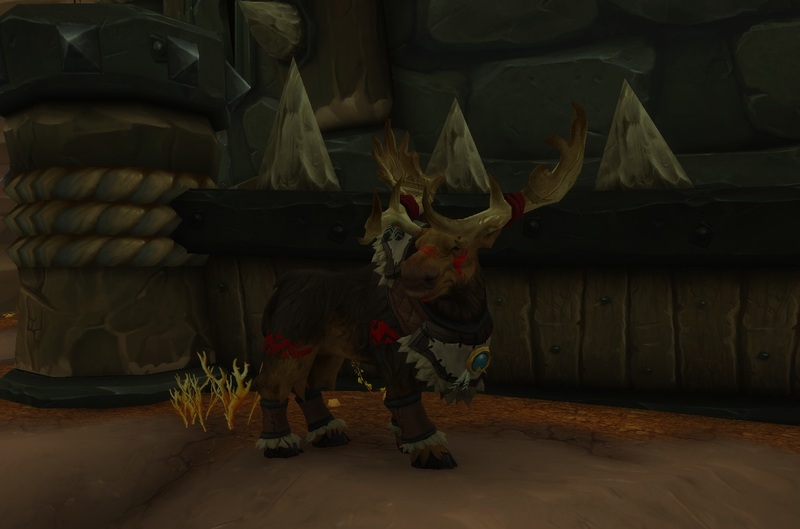 To be honest, Tauren have always been my least favourite race and I didn’t think I’d like the Highmountain Tauren any more than I like the normal ones but I decided to unlock the scenario anyway, which felt like it went forever compared to the Nightborne one so I could see the story and then decided I’d make a little Druid just to see what they were like. I was not expecting to actually like how she looked but I can’t get over how cute she is. 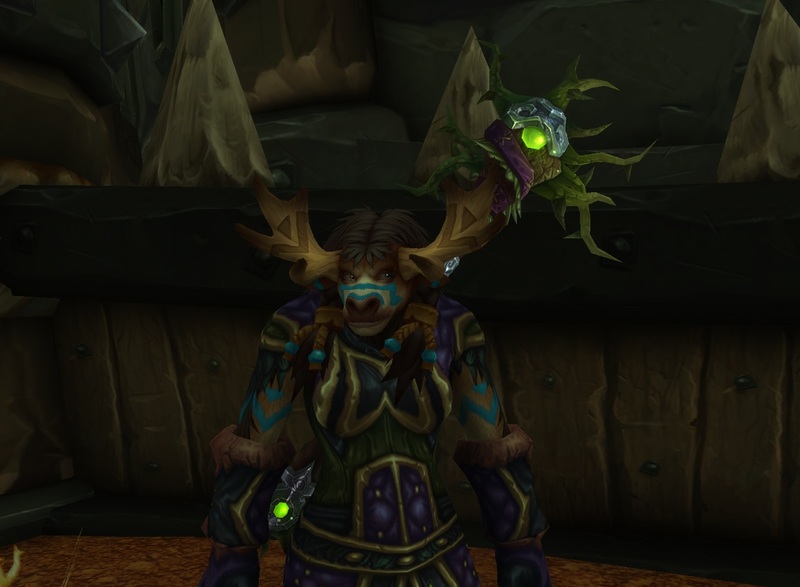 I didn’t think the tattoos and antlers would make much of a difference but she looks so much better than I was expecting. And then I went into travel form and I was so surprised that the form was a Moose instead of the brown Stag I was expecting to see. It looks so good. I would have liked to see the tattoos match the colour of the ones I chose for the normal form but that aside, I love the new travel form. 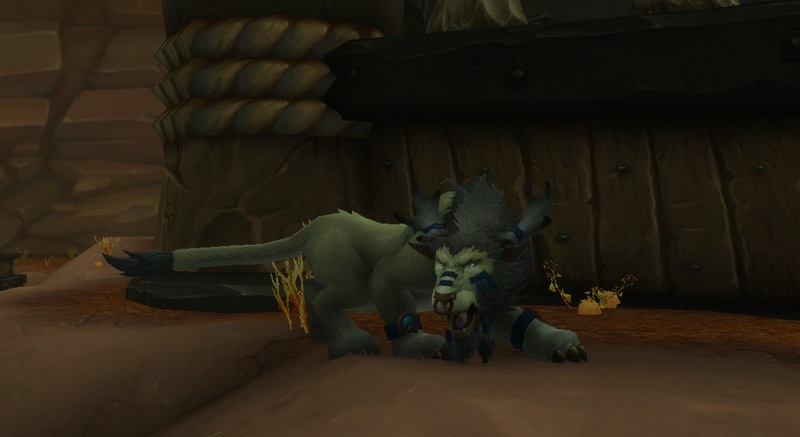 The kitty form looks pretty great too, I like the mini-antlers that I get. 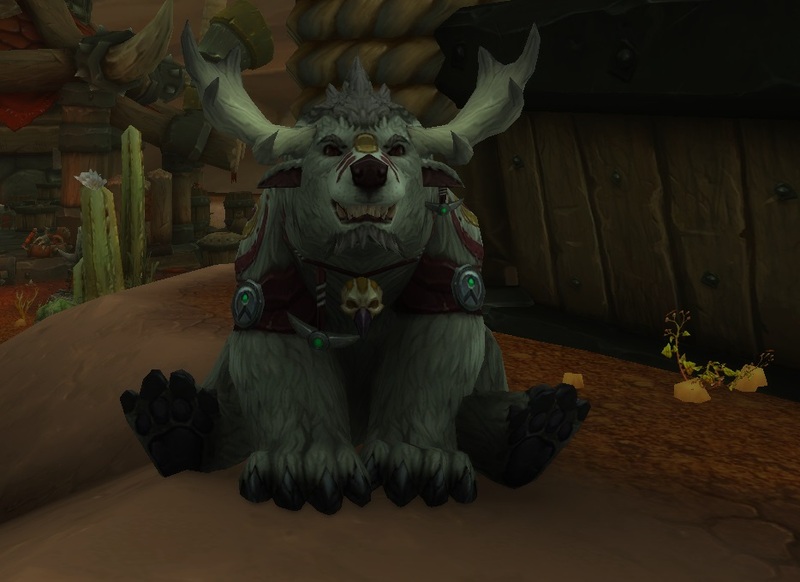 Bear looks suitably derpy, but I haven’t seen a Druid bear form I actually like for any of the races so not a big surprise this doesn’t grab me. I adore the jokes, especially the one that says she knows Ethel is actually a fast walker who just likes to mess with tourists. 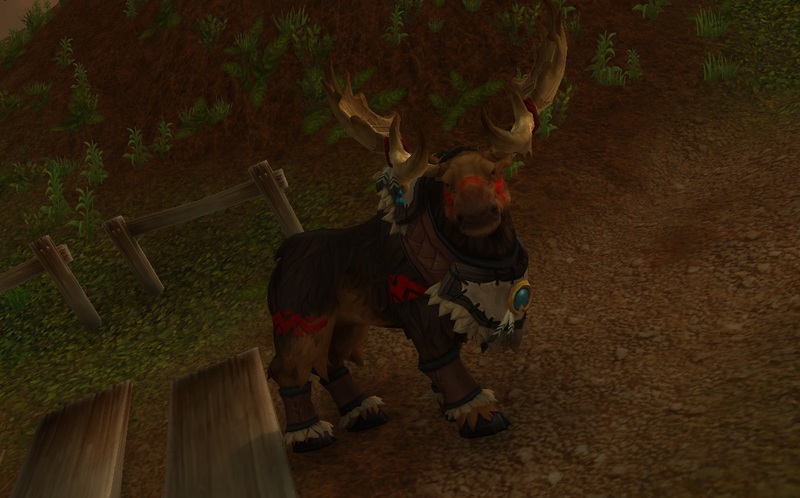 Waiting for the slow old Tauren to wander her way into Thunder Totem infuriated me so much that I only completed it once. 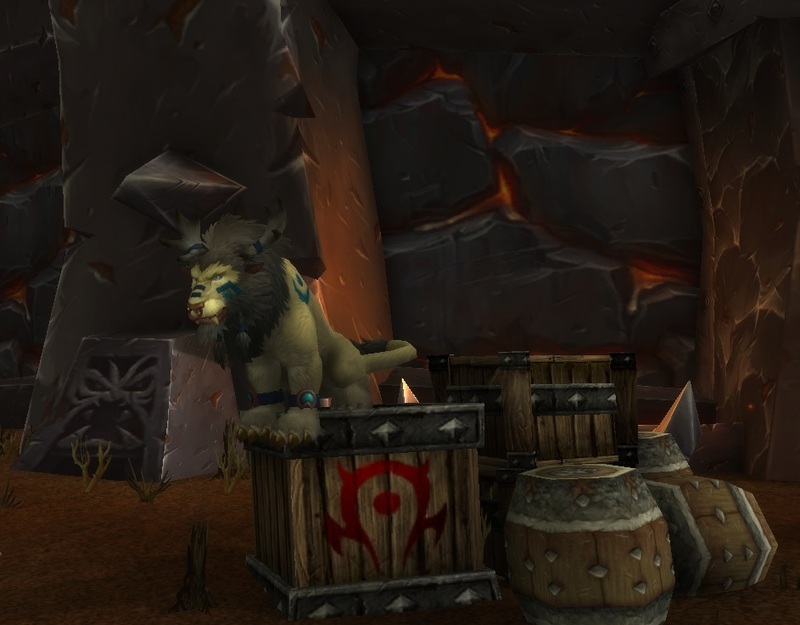 I wonder if this might be the first Tauren that actually gets levelled? I started taking her through Stonetalon Mountains and it felt a bit weird at first to have taken a Tauren from her Highmountain home and thrown her immediately into a skirmish between Orcs and Elves in a strange new land, especially as she would have been used to working alongside both races back in Highmountain, but I’m guessing that feeling will go away as I spend more time questing with her. I still need rep for my Highmountain (which is super weird, as it is one of the zones I spend the most time). Wow! I love that travel form!